The Grey Wolf Award is the highest award that can be achieved by a Cub Scout. 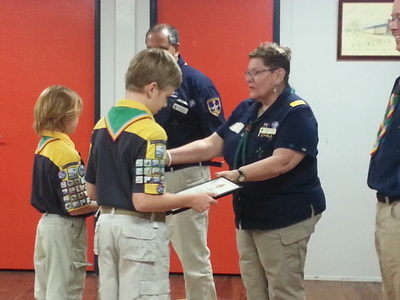 The award rewards the significant effort made by a Cub Scout to cover the required tasks. 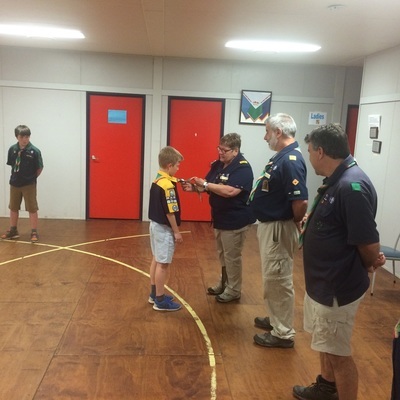 This page records the actual presentation ceremonies. 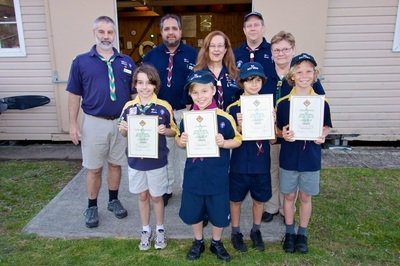 Details of hikes are available on the Grey Wolf Walks page. River's Grey Wolf Award was presented by Region Commissioner for Cubs Maureen Twin. Jamie and Hayden received their Grey Wolf Awards. 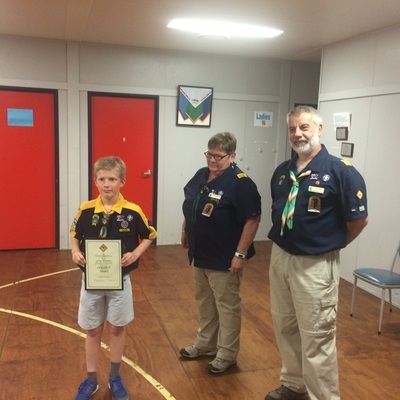 Presented by Region Commissioner for Cubs Maureen Twin, and District Cub Leader George Ferdinand. Details of their hikes are on the Grey Wolf Walks page. Ashleigh visited our friends at Bayview Sea Scouts to receive her Grey Wolf Award with three of their cubs. 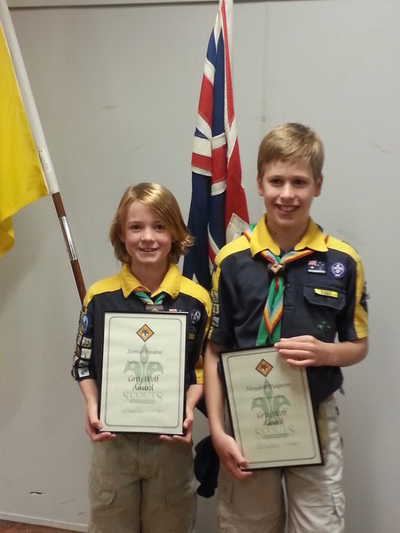 For a change we had a fine and warm night for Christopher and Benny to receive their Grey Wolf Awards. 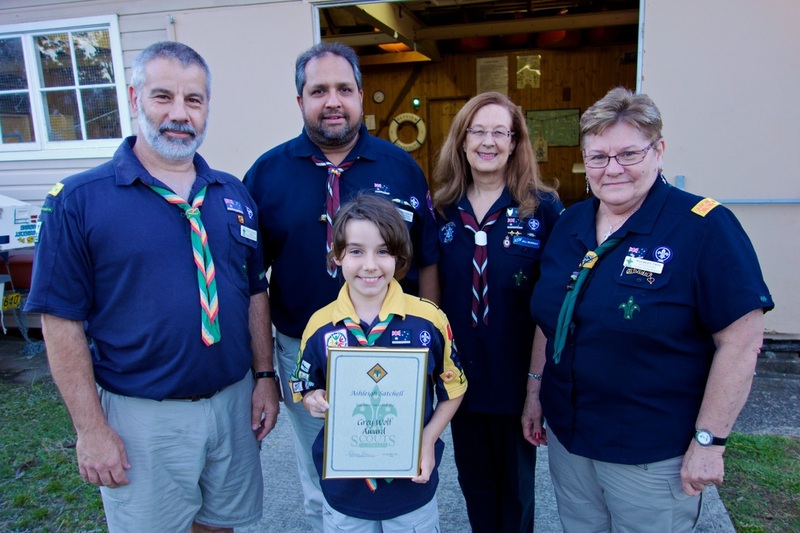 Presented by Region Commissioner for Cubs Maureen Twin, and District Cub Leader George Ferdinand. 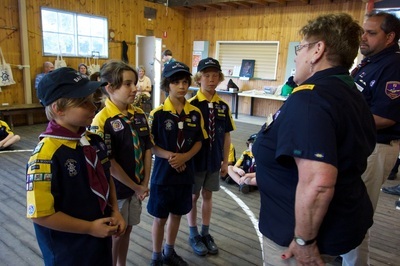 Details of their hikes are on the Grey Wolf Walks page. Jeremy was presented with his award by Region Commissioner Cub Scouts, Maureen Twin. 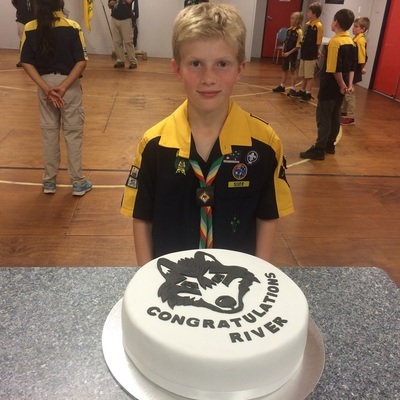 Details of his hike is on the Grey Wolf Walks page. 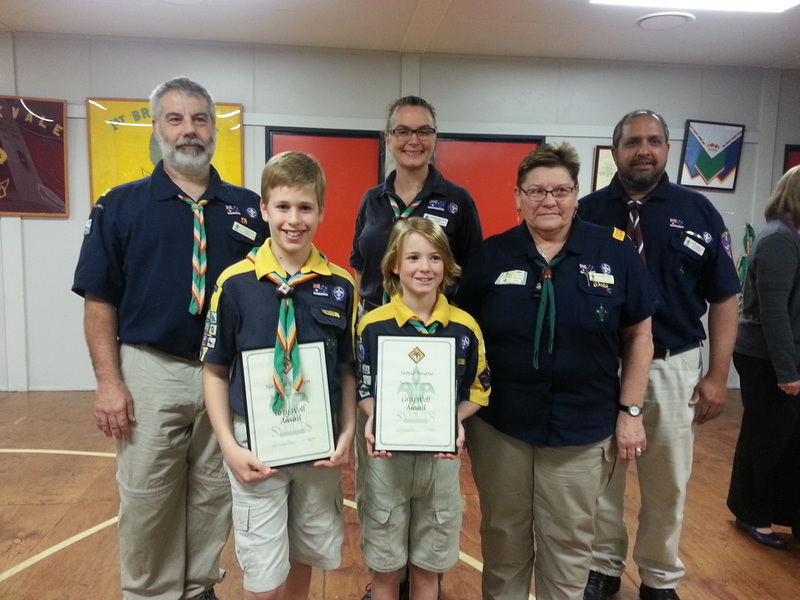 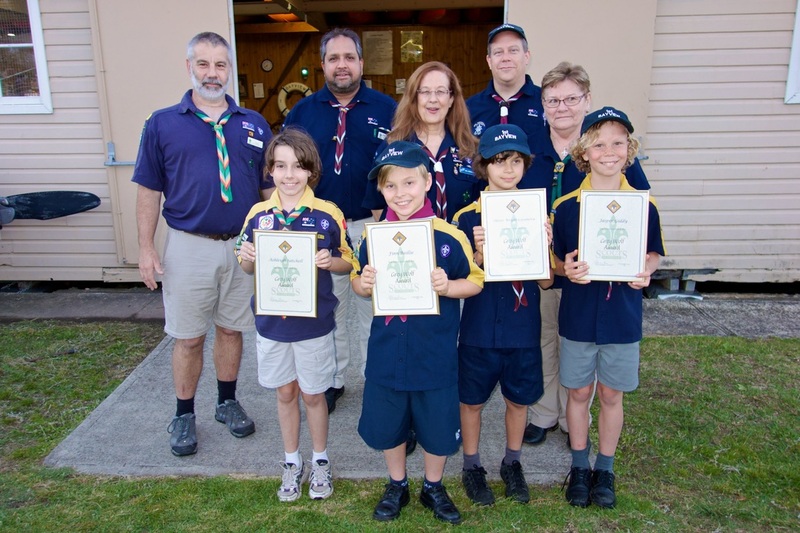 Melanie and Aaron were presented with their awards by Region Commissioner Cub Scouts, Maureen Twin, and Northern Beaches District Cub Scout Leader Sandra Southall on a wet and stormy night. 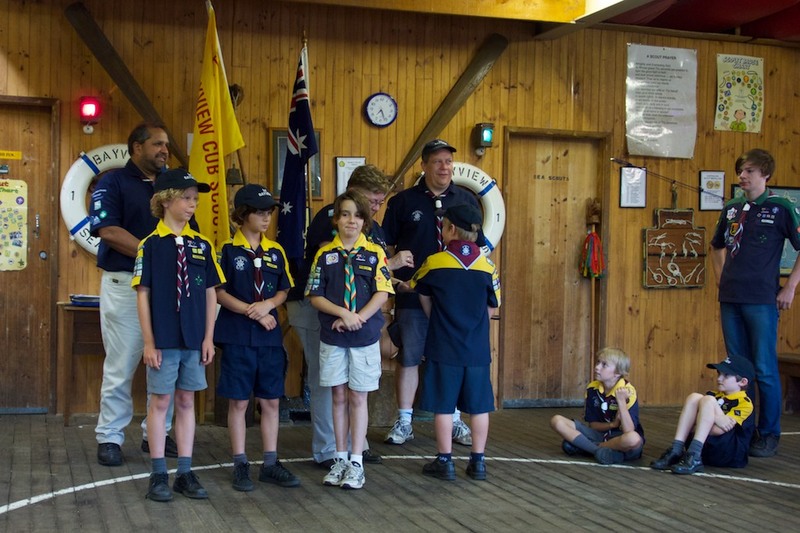 Details of their hikes are available on the Grey Wolf Walks page.